All-electric vehicles are increasingly being seen as more than mere novelties as pressure mounts to reduce emissions, but so far they have come with compromises in terms of the batteries’ charging and working time. One company that has managed to address these concerns is Finland’s Avant Tecno, which brought out the e5 all-electric wheel loader late last year and started deliveries to customers this year. The e5 is a fully electric battery-powered loader with zero emissions, extremely low noise levels and low running costs. 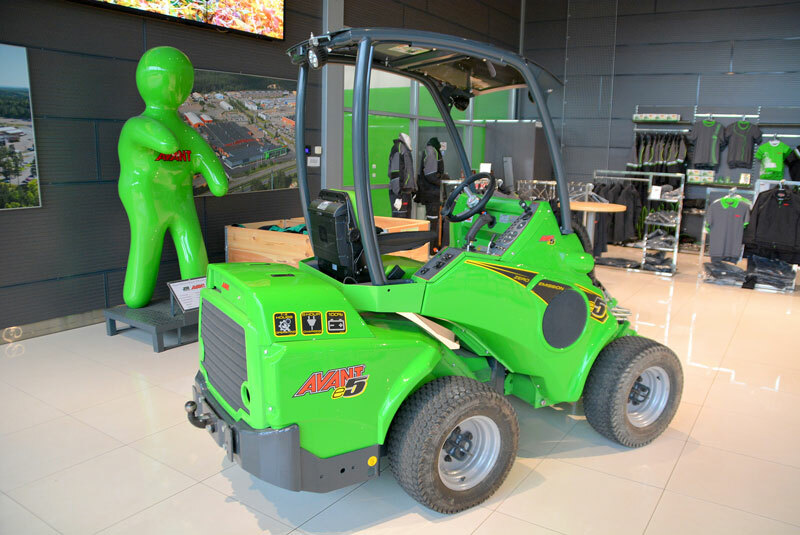 It is equipped with a 240Ah lead acid battery and has two separate electric motors: a 6kW motor for driving the machine; and a 2kW motor for loader boom operation and auxiliary hydraulics. The Avant e5 has 30L/min auxiliary hydraulics flow, which can easily handle working with various Avant attachments including a hydraulic hammer. Operation time of the Avant e5 varies depending on the type of work it is performing but it can operate for up to three hours in light working conditions such as transport and light lifting. In heavier working operations – such as pushing, heavy lifting and using auxiliary hydraulics – the e5 has a recommended working time of 45 minutes to one hour. The loader has an integrated battery charger, which makes it possible to charge batteries anywhere a 230V/10A power outlet is available. Charging time of the battery pack to 80 per cent capacity is approximately three hours and to 100 per cent is five hours. Avant Tecno is based in Ylojarvi, Finland. Since being established in 1991 the company has manufactured more than 45,000 loaders. The company has import partners in over 50 countries and sales offices in the UK, Germany and the United States. The loaders are distributed in Australia by Unanderra NSW-based Avant Equipment. 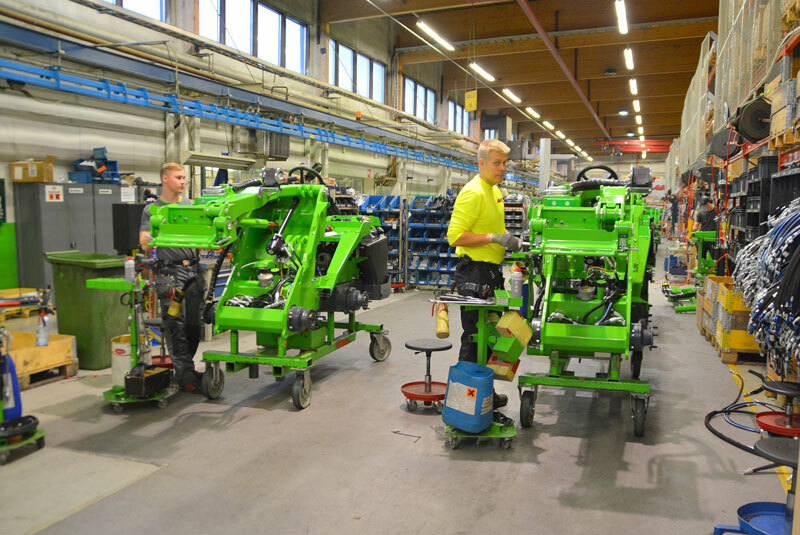 Electric loaders are not new for Avant as the company first introduced them in 1997, but the market, Avant says, was not ready for the technology at that time and production stopped. Now, some 20 years later, the market is ready and responding to this type of technology. Avant has already sold more than 100 e5s in the UK and central Europe and, thanks to improved battery technology, is launching the e6 model later this year. 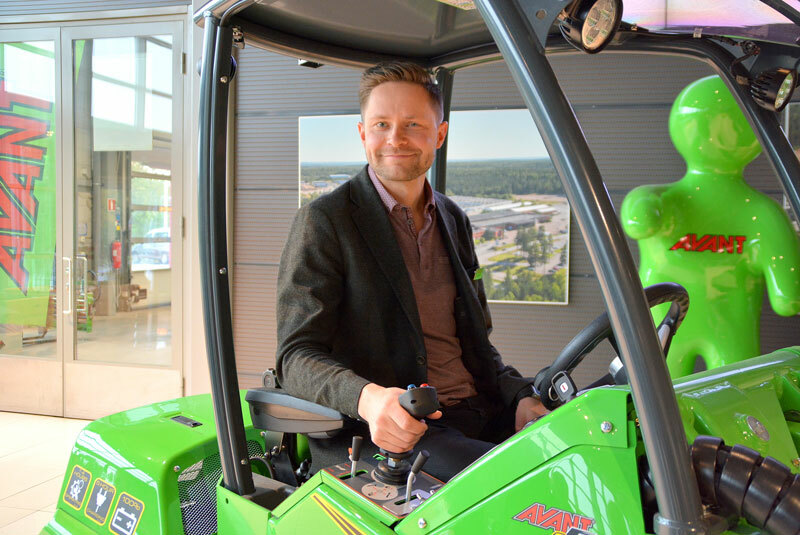 Avant Tecno vice president and sales and marketing director Jani Kakela tells TradeEarthmovers.com.au that the fresh demand for electric loaders is coming from customers working indoors. "Because we manufacture compact loaders, a lot of our customers are driving at least some portion of their daily operation inside; be it in a cowshed, horse stable, demolition site or industrial facility. "In any case there are people or, in some cases, people and animals that will get exposed to exhaust fumes when using a loader with conventional internal combustion engine. 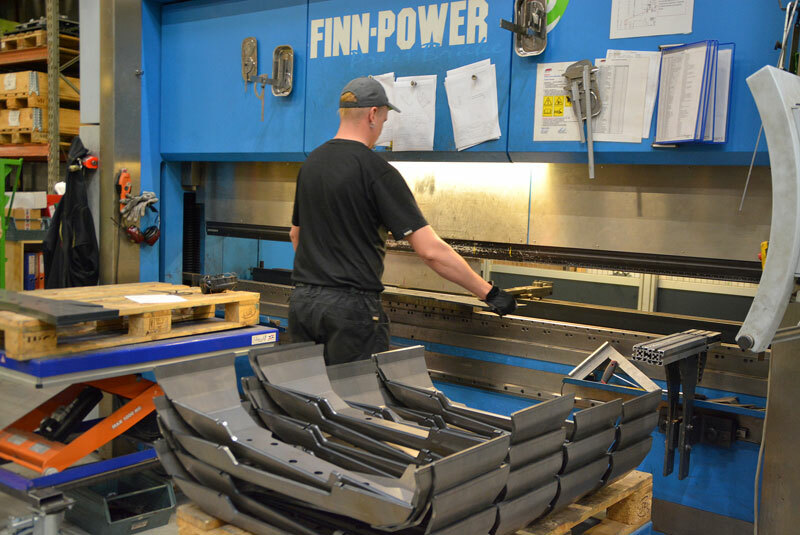 "Many of our customers have concerns that this is not good for the health of the operators or animals in long term and this is why we started to work on a zero-emission solution," says Jani, who is the son of the company founder Risto Kakela. "In addition to the concern of our customers we can see that legislation is also tightening year after year on use of internal combustion engines in enclosed or partially enclosed areas. "We already have customers reporting that zero emission is only possible on some of the demolition sites. We are sure that the amount of these sites will only be increasing in the future. "Another kind of emission on internal combustion engines is noise. Electric loaders are very silent and it offers further possibilities to work on noise-restricted hours and in inhabited areas it will create less noise pollution." The major hindrance in developing any electric machine is how long it will run for and what battery life can be expected before needing to be replaced. "Obviously the operation time is one major limiting factor which is holding it back in some uses at the moment," Jani says. 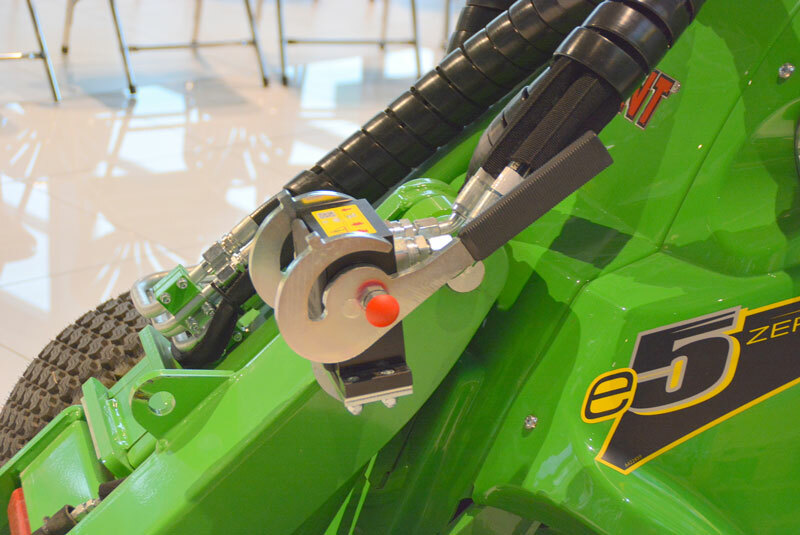 "The e5 has an operating time of one to four hours, so it works well in most agricultural environments. "It has also proven to work as well with some of our test customers in demolition operations," he adds. The Avant e5 loader has lead acid batteries similar to those used in conventional electric forklifts. The benefit of this technology is that it has been in use for decades and is familiar to any forklift dealer. Spare parts are easily available and its characteristics are well known. It has taken Avant quite some time to develop the e5 – and finding the right time to bring it to market has been a major challenge. "The design process was very long," Jani says. 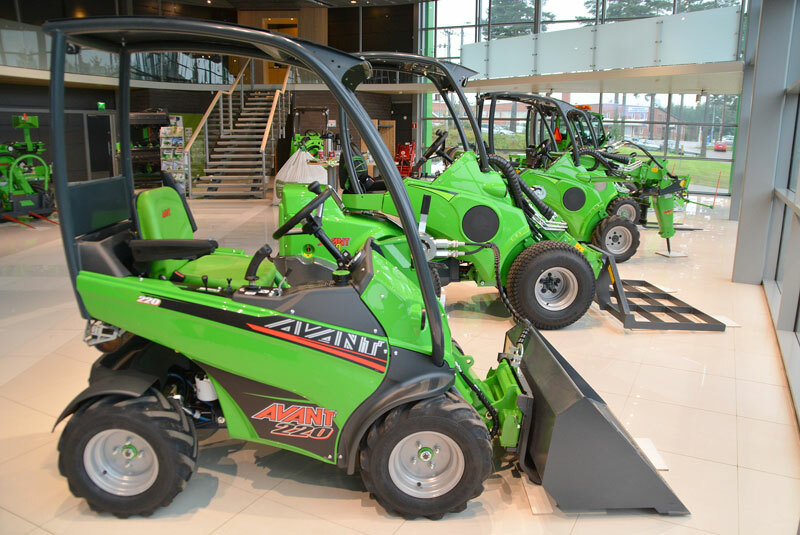 "Avant did manufacture the first battery operated loader already in 1997. "However it was not successful back then due to many things. The product was not completely there and also the demand was not quite as high as it is at the moment. "In 2009 we did some studies again in the electrical loader area, but again we decided the time was not completely ripe. In 2014 we saw that the technology and demand for this kind of product was truly here so we used all the info we had gathered over the years and realised the e5. "We introduced the loader in 2016 and the first customer deliveries started in early 2017." The e5 features the Optidrive hydraulic system which Avant has also introduced to its bigger 700 Series. This system is improving drive efficiency by 10 per cent, according to Avant. "In short, Optidrive improves the drive system efficiency by 10 per cent, has 60 per cent fewer hydraulic connections and features an improved fitting system for the connectors," Jani says. Thanks to further development in battery technology, Avant is launching the e6 model later this year. "The e6 is a sister model of the e5 with the principal difference being their battery," Jani says. "The e6 has a lithium-ion battery which allows it to be used for two to six hours. Charging the battery takes only one hour when using the quick charging device. "This makes the e6 a more attractive model for more continuous use, which you would find typically on a demolition site, for example. "As there is still quite a significant price difference between the e5 and e6, we believe there is demand for both of these models and they both have a place in the market," he adds.